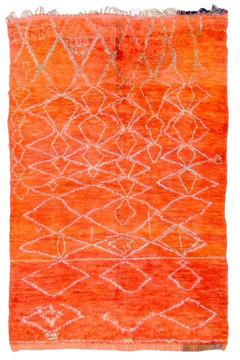 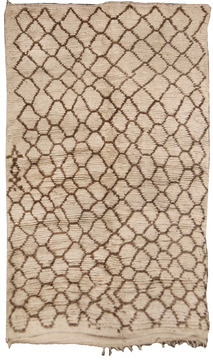 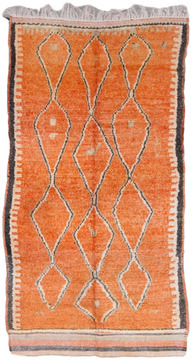 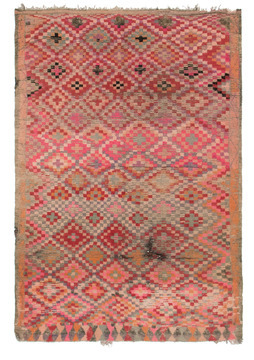 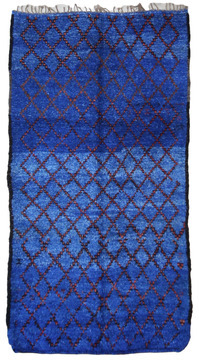 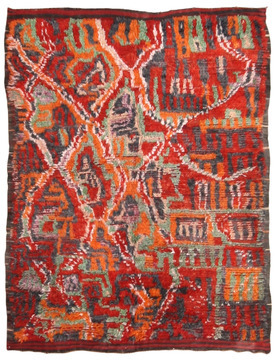 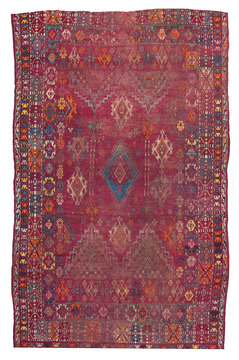 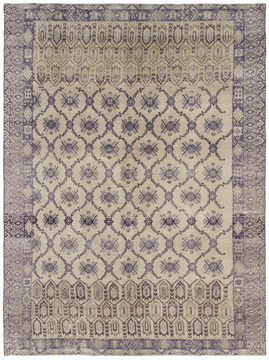 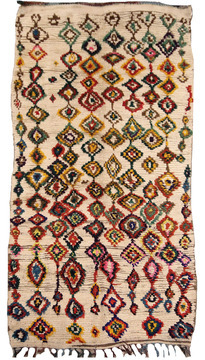 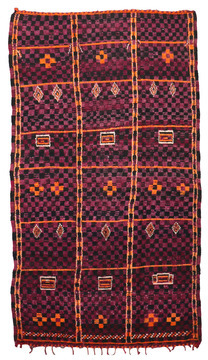 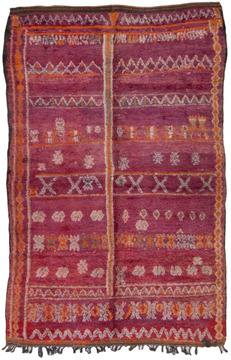 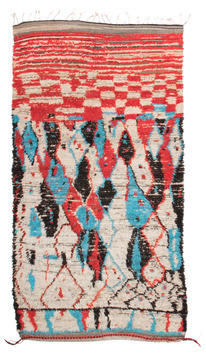 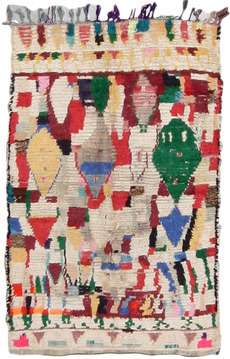 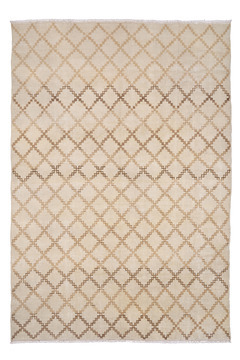 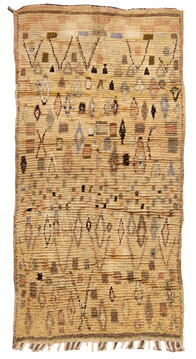 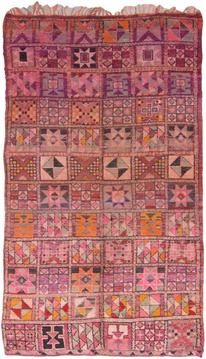 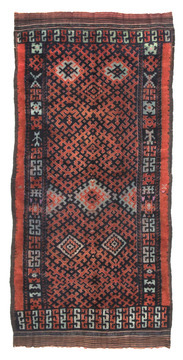 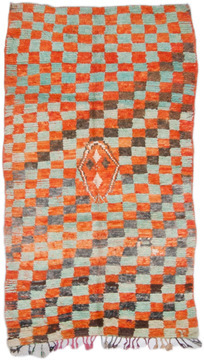 A bold, whimsical Moroccan Vintage Rug. 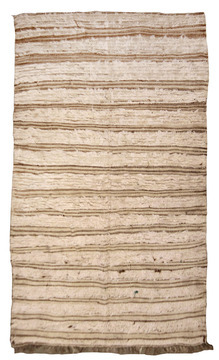 Cream, black, yellow, green and blue predominate. 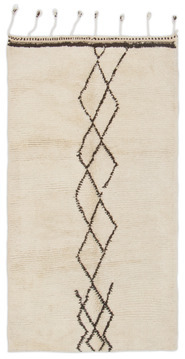 The rug present columns of segmented ovals and polygons with intriguing figures and symbols along side. 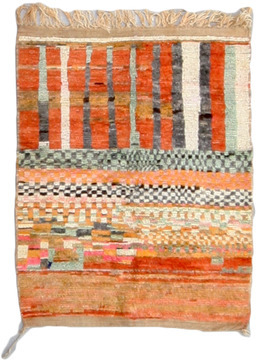 A palette of spring colors would do nicely.